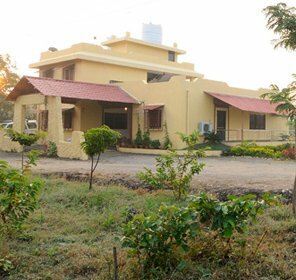 Bewitching biodiversity, varied climate, and vivid topography, all these best elements of nature come together to form the jungles of Maharashtra. Also, the state receives a regular downpour, which means there is greenery all around; thus attracting an impressive range of animals, including Tigers, Crocodiles, Bisons, Gawas, Neelgais, and numerous other avian species. Maharashtra is rich in its flora and fauna count, and that's why here one can see some of the largest eco hotspots, wildlife sanctuaries, national parks and bird sanctuaries, which has been attracting nature lovers and wildlife aficionado from the different corners of India and abroad. Even the metropolitan city like Mumbai, counted amongst the most congested cities in India, has a forest reserve in the form of Sanjay Gandhi National Park, which is home to 274 species of birds along with 42 kinds of mammals. 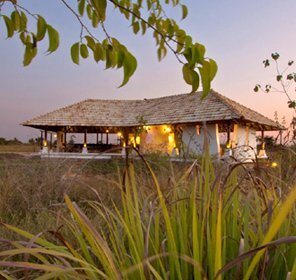 When it comes to going for wildlife holiday to Maharashtra, the first place that pops into mind is Tadoba National Park. 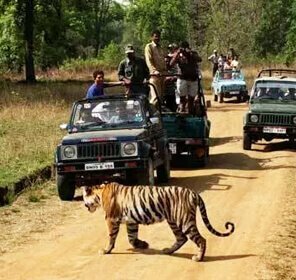 The oldest and the largest national park & tiger reserve in Maharashtra, Tadoba is a must visit for those who want to see tiger roaming freely in their natural habitat. 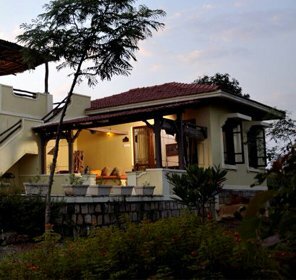 Also, the region is sprinkled with many jungle resorts, offered by the Maharashtra Tourism, which keeps on buzzing with tourists even in the offseason to seek relaxation. 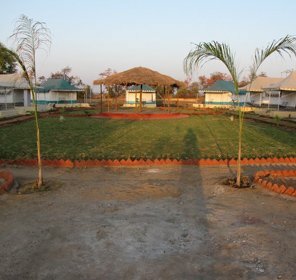 Jeep safari facility is also available in the Navegaon National Park, which is home to species like Mouse Deer, four horned Antelope, Indian Gaur, Sloth Bear, Tigers, and Leopards. 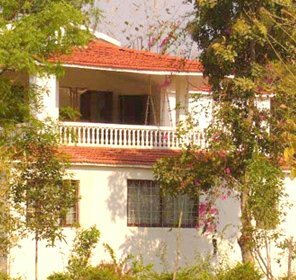 Melaghat Tiger Reserve is another tiger tourism destination in Maharashtra, which was the first nine tiger reserves notified in 1973-74 under Project Tiger. When on a wildlife tour to Maharashtra, one can spot unusual avian species at every turn. In the Melghat Tiger Reserve, one can see the 'forest owlet,' which according to the researchers are critically endangered. Its discovery in Maharashtra has brought new hope for its existence. Adding to the list of places to see the endangered species is Rehekuri Blackbuck Sanctuary, the deciduous shrub forest that is home to blackbucks. In Maharashtra, one can even trek through the wildlife sanctuaries, which ultimately doubles the adventure quotient. Radhanagari Sanctuary is one such forest reserves where tourists can immerse themselves in the thrill of walking on the pathways in the forest while anticipating the myriads of the area's flora and fauna. Also here one can see nesting and hatching turtles. It's the pleasant climate and greenery that beckons the flourishing wildlife with an abundance of flora in Maharashtra like nothing West India. 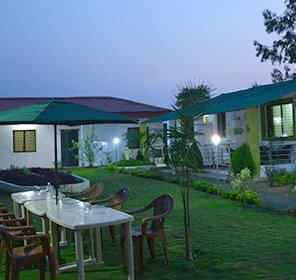 Over and above the climatic factor, the jungles of Maharashtra has many wildlife resorts and retreats for a stay, which makes them even more approachable. Make sure to include some of the national parks and wildlife sanctuaries of Maharashtra on your upcoming vacation.